Anita gained her medical degree in London in 1991 and went on to complete her GP training in 1995. She works 3 days per week in the clinic and continues to work as an NHS GP. Super friendly staff and great advice and treatment. Many thanks. The professional friendly personal service, I’ve always been guided re treatments & experience the best outcome. Highly recommend. First time customer, first time venturing into any cosmetic procedure! I had been doing research into lip fillers for about a year, not being quite happy with the way my lips looked when I smiled and wanting a subtle boost to try and achieve a difference which I felt would be natural whilst giving me the smile I wanted. I had met Dr Anita and we had a chat about what I was interested in and I booked an appointment. The receptionist was lovely, very friendly and reassuring and made me feel very at ease during the initial booking and appointment. Dr Anita was very informative and understood what I wanted to achieve and made sure I was aware of how realistic my goals were and what could be done. She was very gentle and checked with me regularly throughout the procedure not only that I was ok but that I was happy with the look. She was also very clean and professional (I work in a field in a field where cleaniliness is imperative and look for it from dentists, GPS etc). It was only done earlier today so the effects haven’t settled in fully yet, I am already stoked about the results. There is a slight bruised feeling which I was told to expect but other than that, no discomfort at all. I can’t wait to see the full effect in a few weeks time! Very happy overall and will come again and be recommending to anyone interested in getting good service without ending up looking like a fish! Dr. Kapoor is friendly, approachable and knowledgeable. Everything I needed to be comfortable and fully understand the treatment I was receiving. Everything! Your service is flawless! Very lovely and friendly staff, an expert team, flexible appointment dates and times, brilliant central location and great value for money! Everyone at Face Clinic London is always really welcoming and professional. The treatments are delivered with expert care and precision and the whole experience is always a really positive one. I would recommend Face Clinic London to beginners and those with experience as the experience is always carefully tailored to the individual client. Anita takes such amazing interest and care in her patients with the best results. Just feel well looked after by a professional. Results are amazing. Great I always go here for my treatment for sweating 10/10 service! Anita and her team are great. It is always like catching up with a friend on each visit and Anita gives you a very natural look rather than a frozen one. This time I booked 3 starter treatments of the skin booster which has been a great success. I am not sure of the technical details but I believe it is a less viscous filler that can be used over a larger area of skin. The down time is zero, you can get a little bruising which is easily camouflaged with makeup and is painless although areas can be a little more sensitive during the procedure. I am definitely going to be doing the top-ups as I think the treatment has really significantly but naturally smoothed and lightened the wrinkles. I am super pleased with the result. Dr Mark Lister is excellent and I would recommend him and Dr Anita to anyone looking for expert treatment. Best doctors ( you know who you are ) Lovely atmosphere. Absolutely the best Botox , fillers and lots of cutting edge treatments. I would never ever go anywhere else. Very helpful and friendly receptionist and good treatment and advice from Dr Lister. Dr Anita was 100% professional and caring and well-informed in her approach. She put me at ease, answered all my questions and did a great job. All services provided are professional and individually focused on your needs. I like the approach to subtly enhance rather than drastically change anything. Face Clinic London are always friendly and approachable and 100% trustworthy with the work they do. The atmosphere was friendly, and Dr. Lister was very gentle. I couldn’t be happier with the results of Profhilo! I am someone who always suffered from dry and tired looking skin. At first, I felt nervous about the injections, but they turned out to be painless and from the first session, I could feel a difference. Not only did my face feel deeply hydrated from the inside out, but it was firm and glowing. The effects only got better with each session. I remember going to Cannes Film Festival at the time, and numerous people commenting on how radiant my skin looked, which normally never happens to me! Anita took such great care in making me feel comfortable and assured every step of the way. The Profhilo treatment has certainly boosted my self-confidence and made me feel younger and lively again. As I tell my friends, “this truly works!” I definitely plan to return to Face Clinic London for another round of treatments soon. It’s easy to book your own appointment! Both Anita and Mark are extremely nice. My Botox treatments are the best l have ever had! I have been a client of Face Clinic for many years and I have had different treatments with both Dr A Kapoor and Dr M Lister. Everyone is always very professional and friendly. And the treatments are some of the best I have had. They listen to your concerns and give very good advice. And the staff at the reception really make an effort to give you an appointment that is convenient for you and help you if you need to move an appointment. And they are super friendly. I would thoroughly recommend their services. It’s always a pleasure to visit this friendly, no nonsense clinic. The moment you walk in the door you’re greeted with a friendly smile. Mark Lister is perfect for those of us who are a little nervous, he talks to you about what you might need but most definitely doesn’t do a hard sell for add ons. He’s interested and interesting and the actual procedure itself (Botox) was painless as he’s so gentle. I can’t recommend the Face Clinic highly enough. Takes time to deliver a personalised service, careful and measured with experienced qualified staff. I would recommend to anyone considering having any of their treatments. I have been a client of Face Clinic London for many years. Everyone is always very professional and the treatments the best I had (and I have tried a few competitors). Both Anita and Mark are the best and I would thoroughly recommend their services. Very warm and friendly and informative. Quality trusted professional service & results. Anita and her team never fail to provide the highest level and quality of service. I’ve been visiting the clinic for over 5 years and can’t recommend it enough. Very friendly and attentive staff, timely appointments, excellent prices and an all round enjoyable experience, every time! As always – great customer service and top class treatments. Thoroughly recommend. The consultation is a real consultation. The technique is excellent, I have no bruising for the first time and results look good. When you compare the cost it is good value. The location is excellent and easily accessible…most importantly, very friendly staff! Very personalised experience. Pays attention to client history and follows up to ensure confidence in the service. Fitted in with my work commitments. Super efficient online booking and notifications by text. Faultless (like my face now). I love the friendly nature of the clinic, you are instantly made to feel welcome and can relax as soon as you are through the door. Anita also happens to be brilliant at what she does, so even though I’m terrified of needles, I find the process almost painless and the end results are fabulous. I have had both botox and lip fillers (Juvederm) done at Face Clinic London. I was looking for a place located near to my work that looked professional. Face Clinic London ticked those boxes. What I like about it there is that there is little waiting time and doctors really talk to you to understand what you want. I have had lips done in other places, but no one put the time and attention in quite as much as Face Clinic London. I first visited Dr Anita Kapoor 6 months before my wedding day. I’d been thinking about getting botox for a good few years beforehand to resolve my forehead frown lines, however I had my reservations; I was worried about the frozen look and not a big fan of needles. My now husband had been having botox for quite a few years, I saw the results he was getting, and having wanted to look the very best for my big day I thought I’d give it a whirl. I was fortunate not to have to do any of the research on clinics as my husband had done all of that when he first was looking around. He couldn’t recommend Anita enough; having such a positive experience he wouldn’t go anywhere else. I was little nervous when my first appointment day arrived, thinking about all the ‘what if’s’ and conjuring horror scenarios in my head. My nervousness soon drifted away and I met Anita, she put me at ease whilst we had our consultation and assured me of all my worries. I decided to go ahead with the treatment that day, I was given the option to go away and consider what we’d discussed if I was unsure or had any doubts. To overcome my fear of needles and pain, Anita applied some numbing cream beforehand…I hardly felt a thing. The treatment we agreed on were 5 injections to dissolve my frown, it also gave my eyebrows a lovely lift, which I was so pleased with. The results look so natural, none of my friends noticed I’d had botox, they just think ‘I’m looking well’. Like my husband, I couldn’t recommend Face Clinic London / Anita enough, I go back for a top up every 5-6 months. No matter who I see the service is always that of a consummate professional and consistently excellent. I have been going to Face Clinic London for 10 years now and have always been impressed and very happy with the service provided – so much so that I come from Australia to have it! Anita and Mark are lovely to spend time with and the results I get from using Face Clinic London, are always great. The staff are absolutely friendly and considerate and Mark, the doctor made me feel really comfortable and explained the procedure before hand. I highly recommend the clinic. Face Clinic London offer a range of treatments together with sound advice and a tailored plan if you wish. The Doctors are professional. I am very pleased with my treatments so far and look forward to continuing treatments. Very professional welcoming environment, send reminders which is great and won’t undertake any treatments without discussion and only if it is the correct treatment for you. I think the prices are reasonable with regular offers and discounts. I have been using this service for several years and would not consider going anywhere else. Dr. Mark Lister discusses desired results and really tailors treatments accordingly. I’ve not had better results elsewhere. Dr. Mark Lister is also very pleasant and provides a very comfortable atmosphere. My go to for Botox. I live abroad and come to London to come see Dr. Kapoor. Dr. Kapoor is extremely kind and gentle. I highly recommend Face Clinic London for all your facial needs. This is my second visit and as with the first visit I liked their work ethic. My questions were answered clearly without feeling pressured into anything else and although I had booked two areas of Botox it was recommended I needed just the one area for my expectations to be met. I have recommended them on a couple of occasions and will continue to do so. All the staff at Face Clinic London are friendly and professional and always make you feel very welcome and valued. 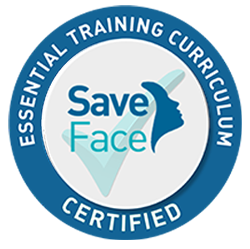 I would recommend Face Clinic London to all of my friends as they have a great approach to everyone from new, inexperienced beginners to long standing customers. The services offered are extremely high quality and are very good value for money. 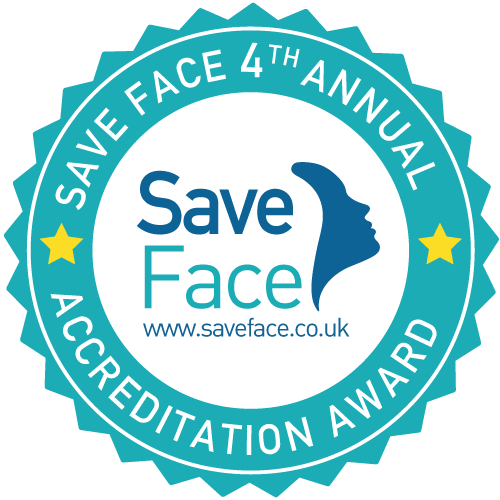 I have been a client of Face Clinic London for more than 6 years and I intend to stay with them for many more. Dr Kapoor is an artist. I trust her implicitly with my face. She always puts me at ease and will only undertake a treatment if she feels you will achieve tangible results. I couldn’t imagine going anywhere else for Botox or fillers. She is the best in London. I had a really good appointment, where I felt that the doctor had listened to my concerns. He then went on to make some suggestions for me which didn’t mean necessarily going forward with any treatments at all. The very fact that I wasn’t pressured into doing any treatment means that I will absolutely recommend them!! I have been going to Faceclinic for the last three or four years mainly for Botox, and although I have tried several other clinics around Central London I always keep coming back because Dr Anita and the Faceclinic treatments is simply invaluable to my wellbeing and maintaining my looks. I am 34 years old now and really notice that I have to start to go an extra mile to do that. I always feel safe as I know I am being treated by a medical professional who knows what they are doing.The latest treatment I have tried at Faceclinic is profhilo. I have always been extra cautious about any kind of fillers as I don’t want to look ‘done’ but profhilo is not like that at all. It works on the surface of the skin and makes me still look like ‘me’ just a more refreshed and younger version of myself; it plumps my skin beautifully. It is also amazing that it works under the eyes because it spreads under the skin to plump it up even though profhilo is not injected in that area. I also notice that I get less spots and breakouts and my face looks healthy and glowing.The injections are made in 5 areas on each side of the face, there is no downtime. I only got a few red marks that were hardly visible and went down within the next 12 hours. I see the results immediately after the first time, then one month after I went for the second time and now I am really addicted because the results are so beautiful and natural. I will definitely go back in 6 months to maintain the effects and I couldn’t recommend it highly enough!The most beautiful compliment I got after Profhilo was that I was recently asked for my ID when I bought some wine at Waitrose! * Doctors verse beauty therapist carrying out treatments. Feel like you are in good hands. Experienced, professional, expert practitioners. * Doctors time is well managed – I haver never had a late appointment. Dr Anita is so lovely! Anitas Botox always looks very natural. She has great people skills and makes every customer feel special. The complete honesty and professionalism of my consultant who said treatment wasn’t necessary and refused any payment. online booking, time taken to listen and the an advice, location, service. thanks! Professional, friendly and what I believe to be a very high level of service. I can always get an appointment when I want, even after normal working hours. Anita is very professional and friendly, she instantly puts you at ease. I would 100% recommend her for Botox treatment – really happy with my results which are very natural looking. I’m thrilled with the results of my wrinkle injections at the Face Clinic with Dr. Anita Kapoor. Dr. Kapoor was very professional and thorough in going over the procedure, and I felt comfortable receiving the treatment from an experienced/qualified doctor – would highly recommend.